Plastic and reconstructive surgeon Murray Beagley recently moved to beautiful newly refurbished rooms. The move to Suite 6 in the Auckland Surgical Centre at 9 St Marks Rd, Remuera provided the luxury of lots of space and especially exciting was the opening of their small operating theatre. The new Plastic Surgery Auckland rooms also contain a fully equipped nurses treatment room, recovery room and administration areas and two consulting rooms. The theatre is particularly suitable for small procedures such as removal of skin cancers and other skin lesions and some cosmetic procedures such as correction of prominent ears, eyelid surgery and scar revisions. More major surgeries requiring general anaesthesia are undertaken downstairs in the Auckland Surgical Centre theatres or at one of several other private hospitals at which Mr Beagley operates. 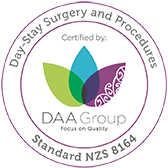 Murray offers a broad range of cosmetic, genitoplastic and hand surgery (including carpal tunnel and de Quervains release, Dupuytren’s contracture and complex tendon and nerve injuries). Murray balances his busy private practice by maintaining a regular presence at Middlemore Hospital where he is a consultant plastic surgeon and Director of Clinical Training, and at Starship Childrens’ Hospital where he pursues his interest in paediatric plastic surgery. A further interest outside his practice is his annual participation in Interplast voluntary surgery missions to Third World countries.